What began as an internal struggle has morphed into a 21st century East-West cold war drama, with this conflict seen as the battle that determines whether all currently independent former FSU satellites will remain free or again disappear under Russian hegemony. That’s the simplified picture that gives this crisis its drama. The whole crisis is over the future political, cultural and economic orientation of Ukraine and whether it moves in the direction of becoming more like Western Europe or more like a Russian vassal, with all the economic and political changes implied. On November 21, 2013, Ukrainian President Viktor Yanukovych’s government announces it is abandoning an agreement that would strengthen ties with the European Union, and instead seek closer cooperation with Moscow. Protesters fearing an end to their chances for greater political and economic reforms, take to the streets. The protest movement picks up momentum. On December 1st, a protest of about 300,000 people at Kiev’s Independence Square leads to activists seizing Kiev City Hall. As a show of support for his cash-strapped political ally, Russian President Vladimir Putin announces Moscow will provide economic aide, including the purchase of $15 billion Ukrainian government bonds and a price discount on Russian natural gas. The protests continued and hit a turning point January 22nd with the first protester deaths at the hands of riot police, and by February 22nd, after further street clashes, the Prime Minister resigns, the parliament repeals harsh anti-protest laws, President Yanukovych flees after a coup and opposition leader Yulia Tymoshenko is released from prison. On the 24th, Ukraine’s interim government issues a warrant for Yanukovych’s arrest. The next day, pro-Russian protests erupt in Crimea, which is about 60% ethnic Russian. On February 26th Putin orders military exercises near the border. On February 28th Russia intervenes militarily in Crimea. The US and Europe threaten sanctions and offer economic aid. Putin indicates he is not looking to attack Ukraine but merely protect the rights of Russians in Crimea, where the Parliament votes unanimously to secede from Ukraine and schedules a popular vote for March 16th. At this point the focus of the conflict is on who controls Crimea, Ukraine or Russia. Crimea’s legislators voted Thursday to secede from Ukraine and join Russia. There will be a popular vote on March16th that is widely expected to pass, given the Russian majority in the Ukraine. Russians claim Crimea was always meant to be Russian. Even when Khrushchev gave Crimea to Ukraine, Ukraine itself was part of Russia and he did so a purely symbolic act. Ukrainians are that the Russian majority is there only due to Stalin’s deporting rebellious locals like the Tartars as punishment of opposing him. First, let’s be clear that we don’t see appetite on either side for a prolonged escalation. This will likely be a slowly evolving conflict, with Russia winning control of parts of Ukraine while the in the near term the West does little, given Europe’s dependence on Russia for a third of its gas and the lack of vital strategic interests that might justify military action. However if there should be a continued escalation, here’s a review of the likely market effects and ideas on how to play some of them. Unless otherwise noted, the specific economic damages noted below impact most those closest to the conflict: the combatants, those with the most economic ties to them either via proximity or extent of economic relationships. In other words, slower economic growth in Europe, with those directly involved in the conflict suffering the most, followed by those in closest proximity and with highest exposure to the Russia, Ukraine, and its neighbors. This slower growth comes in a variety of forms and challenges. Here are the most important ones. Even a radical shift in the Ukraine towards the West was no material military threat to Russia. The invasion smacks of a return of the old militaristic Russia. Diplomatic and economic sanctions might not do much to hurt Russia, however market reactions could be the real problem. Many foreign investors could flee, given the Kremlin’s proven willingness to put its military ambitions ahead of the country’s economic interests. Foreigners are estimated to hold 70% of Russian stocks. The use of force to keep Ukraine, or parts of it, in Russia’s orbit will further deepen investor mistrust of Russian institutions, reinforcing Russia’s image as riskier business environment with a leadership still stuck in the Soviet era mindset and not quite ready for prime-time capitalism. Those investors who stay in Russian assets will demand higher returns, and thus lower prices, as a risk premium for doing business in Russia versus other emerging markets. We’re already seeing that happen. For example, Russian stocks trade at the cheapest forward earnings multiples across emerging markets, about 4.7x their estimated 2015 earnings. In comparison, shares in another troubled emerging market Turkey, trade at more than 7x earnings. Much of that discount is already due to corporate governance fears (aka corruption) and lack of faith in local institutions (i.e. property rights and personal liberties not well protected). Higher Energy Prices, Particularly In Europe: Energy prices in Europe have jumped since the start of the crisis. Russia is one of Europe’s main energy suppliers. This trend may well be more enduring. If the US allows more energy exports, it will find an eager market in Europe that may well accept higher transport costs in return for freedom from Russian coercion. Much of Europe’s gas from Russia comes via pipelines that pass through Ukraine, so any military threat to those pipes could send prices soaring. Sell over $10 billion of its dollar reserves this morning in exchange for rubles in the open market in order to prop up the value of the ruble. The IMF estimates that at the end of January, Russia’s stock of foreign reserves totaled $457.2 billion. Hike benchmark rates from 5.5% to 7% once to protect the ruble’s value, but at a cost of raising borrowing costs, yet another drag on the economy and aggravates inflation threats. Ukraine has less to lose, if for no other reason than it is already considered at high risk of default. For example, a 6 month Ukraine government note yields nearly 50%. As noted above, nations and firms with the most exposure to the region will also suffer from a prolonged escalation. For example, foreign companies with major assets or deals that the conflict puts at risk. Germany’s Stock index is particularly vulnerable because so many German companies do business in the affected areas. Oil companies: Royal Dutch Shell (RDS-A) and Chevron (CVX) have exploration agreements with Ukraine, and ExxonMobile (XOM) is working on one of its own. Risk is limited as this time as these are well diversified mega-cap firms. In the event of an outright war, European assets in general would suffer, for a variety of reasons, but those perceived has having greater exposure or proximity would suffer more. For example, assets related to Poland, Hungary, Georgia, the Baltic States, etc. 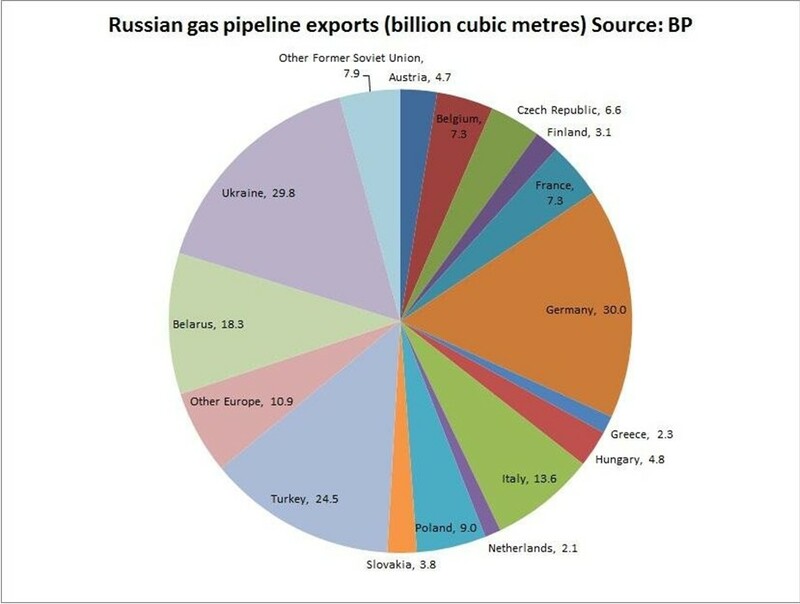 Russian Gas Exports: the crisis and Russia’s explicit and implied threat of using gas supplies as leverage will encourage its European customers to seek and lock in alternative supplies, even if more expensive, as a counter weight. Europe is a recession-struck continent dependent on a Kremlin-controlled energy price. Putin cleverly cut Gazprom tariffs to the region last year, ramping up its dependence on Russian gas to record levels. And in so doing, he effectively bought EU foreign policy. Energy suppliers not threatened by the turmoil. They’re in a position to benefit from the sudden lack of competition and very profitable supply vacuum. The same hold true for any other supplier that is able to fill a market vacuum or sudden greater demand. Certain weapons makers are an obvious example. The US and Canada could hurt Russia by simply allowing more energy exports as their shale boom produces an energy surplus. US energy producers and potential exporters: Arguably America’s biggest policy tool against Russia is the threat of US energy exports. Washington is debating removing limits on energy exports now that it suddenly has a surplus. a) In the past 6 years the explosion in shale oil and gas production has sent American crude output soaring by 60 per cent, taking the country into a thoroughly unexpected era of energy abundance. US gas prices have fallen by two thirds; factories and jobs are flooding back to former rust belt states. By the end of this decade, America will be exporting more energy than it imports. b) This gives the US the ability to threaten to undercut prices on natural gas, which is Russia’s primary export in an otherwise struggling economy. See here for details. European gas suppliers with European production. For example, Vermillion Energy (VET). 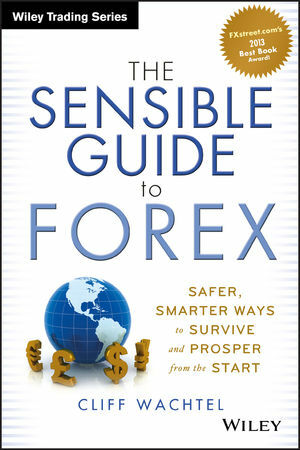 It not only has an excellent track record, it is one of the few Europe-sourced gas producers that pays you in Canadian dollars, a far healthier currency than the EUR for long term appreciation and wealth preservation, as I discuss in my book. Assets and currencies with minimal exposure to the crisis. Safe haven assets and currencies, and those with little or no exposure to the region of conflict. In the past trouble in Europe meant normally higher risk currencies of Australia and New Zealand rise simply because they’re believed to be less influenced by troubles in Europe. The USD and JPY, traditional safe haven currencies, should also benefit. Weapons makers: Russian is building up its drone forces, and Ukraine needs modern versions of pretty much everything, if someone would please fund the purchases. U.S. Treasury Bond Prices: Investors seek these classic safe-haven assets in time of crisis, and the U.S. government not only has a good credit record, but an enormous military to defend it. The bellwether 10-year Treasury note yield fell to 2.61% Monday; yields fall as demand increases. USD: In times of extreme fear the USD soars, as the most liquid, trusted currency backed by an economy that is better equipped to endure any turmoil. All sides don’t want to lose face, nor do they want a protracted military conflict. That means the likely outcome is Russian control of at least parts of ethnically Russian Ukraine while the West responds with some kind of sanctions, so this won’t end fast. Ukraine is in Russia’s backyard. It is not a vital strategic interest for those who signed treaties to defend it, the US and UK, nor is there any popular support in either nation to sacrifice blood and money for Ukraine. Therefore treaties to protect territory will be ignored/reinterpreted, whatever. Until Europe secures replacements for Russian gas, expect little action at all beyond mostly symbolic sanctions that won’t risk a gas cutoff to Europe. Meanwhile, Russia must realize, as did OPEC, that withholding sales of your primary export product is a dual-edged sword. You risk sacrificing needed market share for the sake of politics. The crisis will encourage Europe to seek alternative energy sources, and move the US to expedite increased energy export capacity for its strategic as well as economic benefits. The lesson of the US failure to honor its defense obligations to Ukraine will be noted in Jerusalem and Tokyo, as well in Teheran and Beijing, and other capitals where the US still needs its security treaties and the threats they imply, to be taken seriously if the US is to be able to efficiently promote its interests and those of its allies. Don’t be surprised to see further Chinese aggressiveness with Japan over the disputed islands, or more flagrant Iranian development of its nuclear program and terror support.